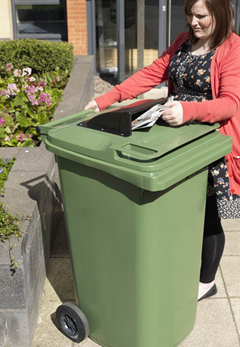 Our range of outdoor waste and recycling containers are suited to different material streams and can be used in a variety of locations such as town centres, recreational areas, public or communal spaces, educational facilities and car parks. 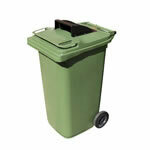 Wheeled bins fitted with apertures and lid locks. Different versions supplied for various material streams. 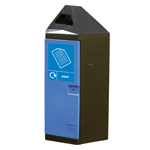 Recycling unit for public spaces that can be manually emptied despite its larger size. May be used alone or in clusters. These bright and extensively customisable containers are perfect for both indoor and outdoor use.